Adorable Twinkle Twinkle Little Star First Birthday Tutu Outfit. Handmade tutu outfit. Bow on an elastic white headband. Onesie will be embroidered with a gold satin fabric. Tutu skirt has been created with soft high quality tulle. 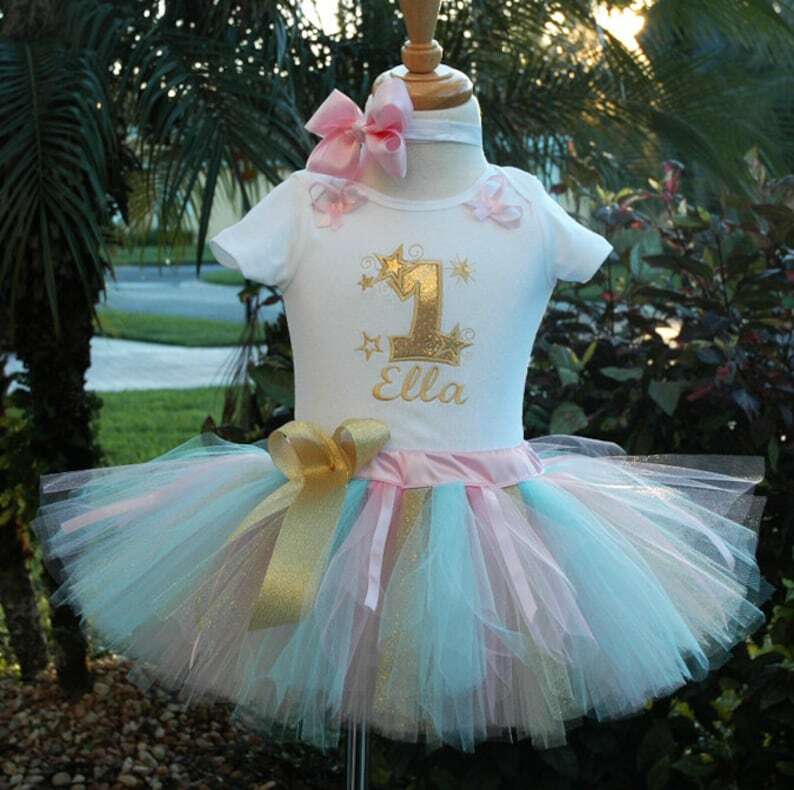 Hand cut tulle in many soft pink colors including: sparkly pink tulle and aqua -blue tulle.. Beautiful pink and gold strands of ribbon surround the tutu. Gorgeous soft pink long bow in front of the tutu. Handmade pink bow on an elastic headband included.